Domestic violence is defined by the American Medical Association as “the physical, sexual, and/or psychological abuse to an individual perpetrated by a current or former intimate partner.” An intimate partner can refer to anyone dating or people who are cohabiting. Domestic violence is not just physical violence, fighting or arguing. Domestic violence may be a chronic abuse of power that tortures and controls the victim by calculated threats and intimidation. Actual physical violence is often the end result of months or years of intimidation and control. While domestic violence is gender–neutral, women are more likely to experience injuries or incur psychological damages from their partners. In New Jersey, domestic violence is taken very seriously. If there are any signs of physical injuries, police must arrest the abuser immediately, even without witnesses. 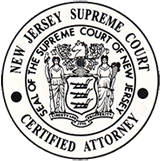 A temporary restraining order (TRO) may be requested against an abuser by applying to the Family Division of Superior Court, Domestic Violence Unit. This order prohibits an abuser from harassing or entering a residence, among other things. If the court is closed, TROs can be obtained from a local police department. TROs bear a date by which a person and his or her alleged abuser are required to appear in court for a hearing, usually within ten days of the original issuance of the TRO; an attorney may be present. At the hearing, a judge determines if a final restraining order (FRO) is warranted. The judge will also decide at that time under what conditions and for how long the FRO should be in effect. Once a final restraining order is issued, it should be carried on one's person at all times. This makes its enforcement easier should the abuser violate the order. If you or someone you love has been or is a victim of domestic violence, take steps to protect yourself or your loved one immediately. 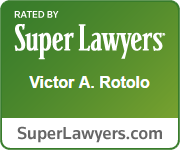 Rotolo Karch Law understands the emotional stress domestic violence victims endure and will treat these cases with great concern and attention. 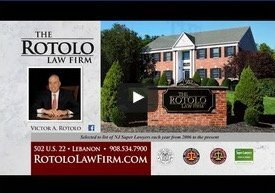 As a former police officer and now as an attorney, Victor Rotolo has spent his career protecting the rights of his clients. Call today. Please note: Your initial half-hour consultation session is free.